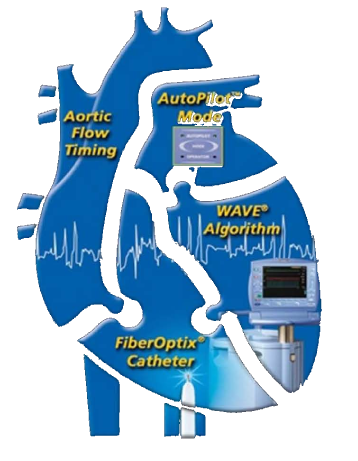 ARROW FiberOptix®, the world's first fiber-optic IAB catheter, has been proven in thousands of patients. 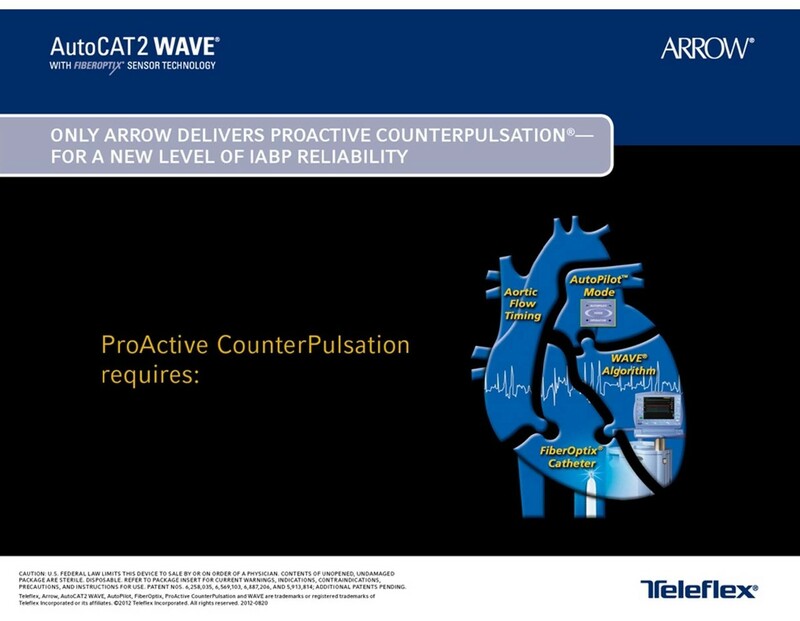 It is also the only one that works with the unique components of the AutoCAT 2 WAVE® to deliver ProActive CounterPulsation. 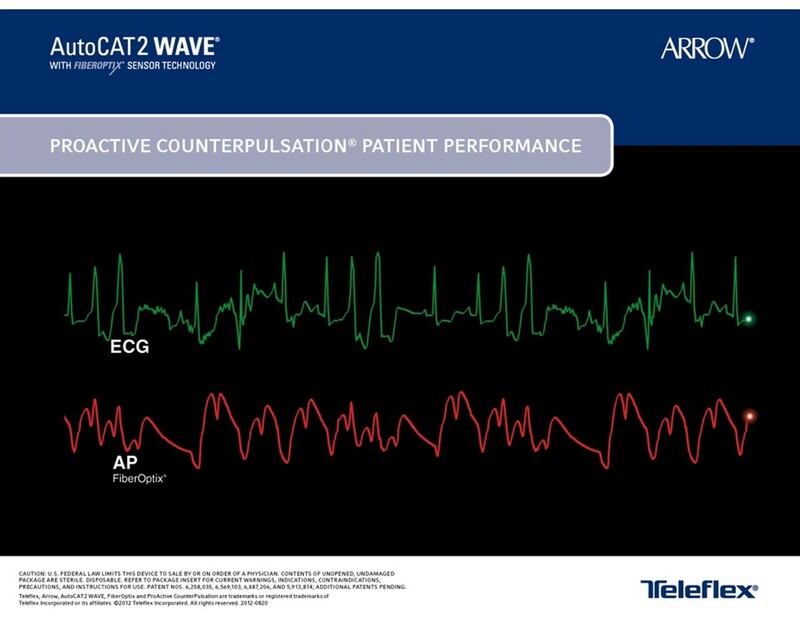 Arterial Pressure signals transmit at the speed of light to the pump, giving a clean and fast AP signal to benefit IABP support to the patient. 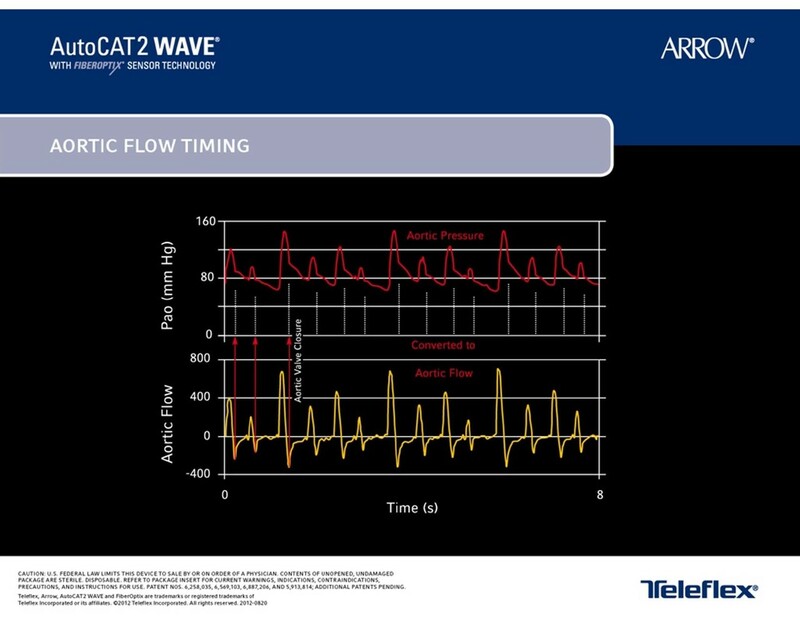 Because the timing of fluid-filled systems is based on historic data, arrhythmic episodes can lead to poor performance in patient support. 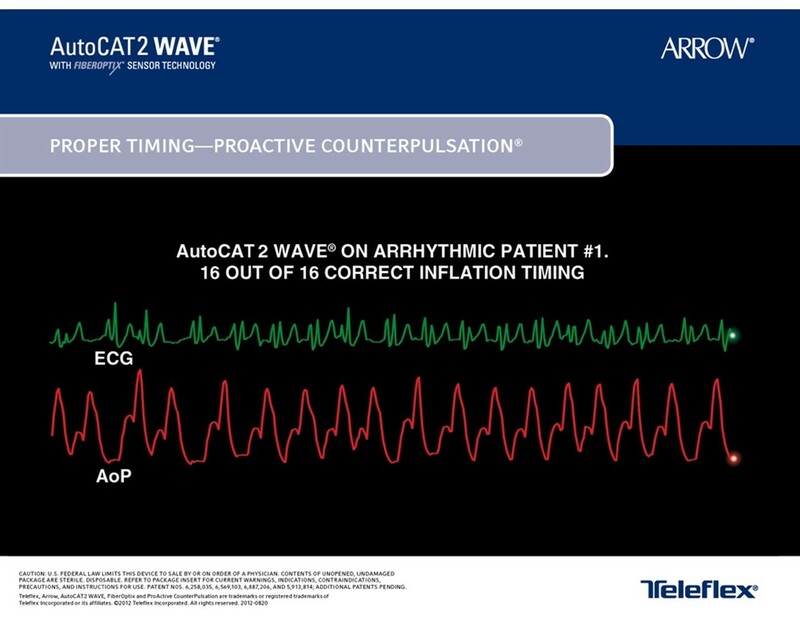 In this example, the fluid-filled system properly timed inflation for only 4 out of 16 beats. 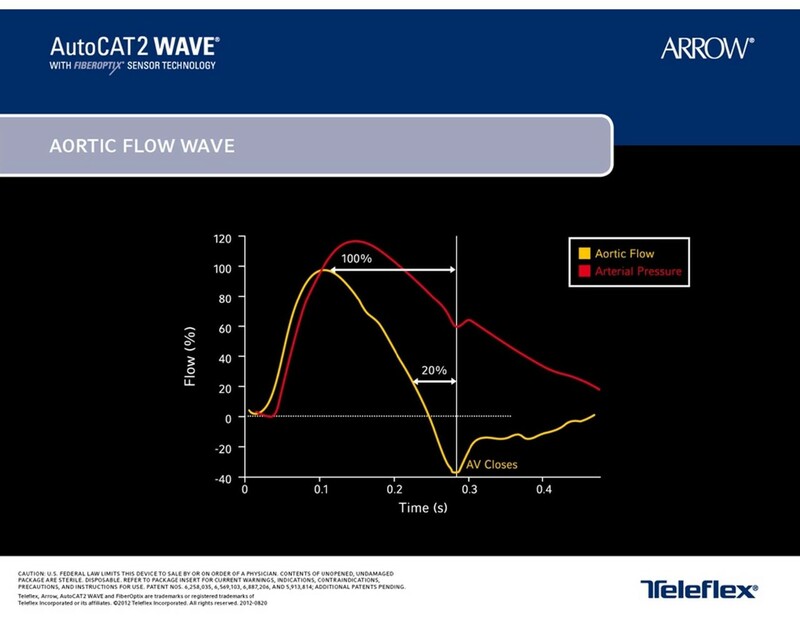 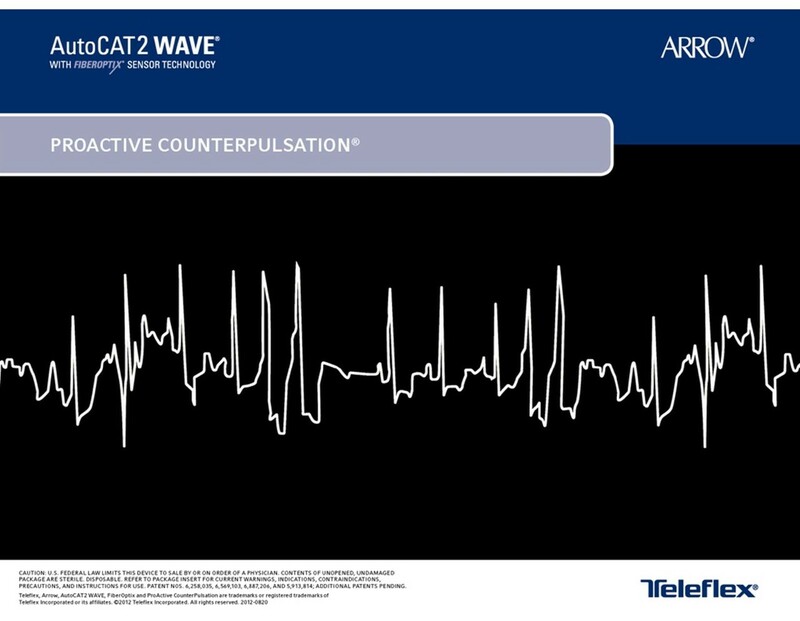 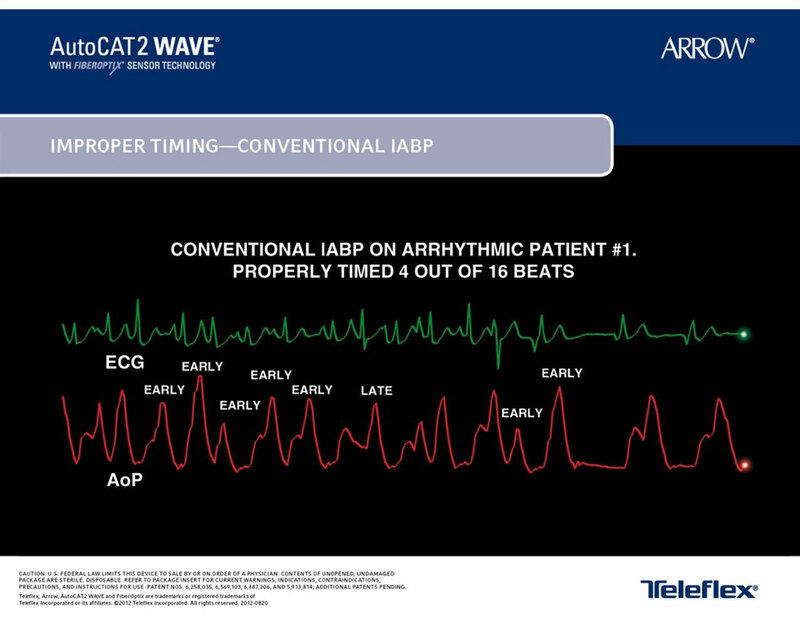 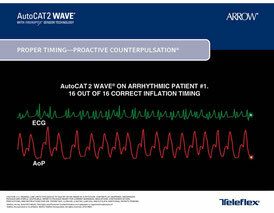 The AutoCAT2WAVE® sets the inflation point in real time, within the beat - even during arrhythmias. 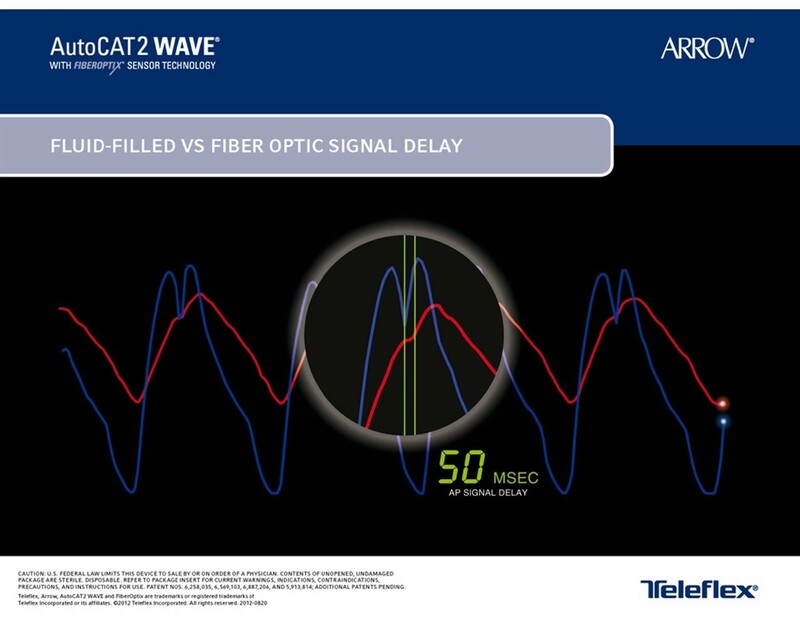 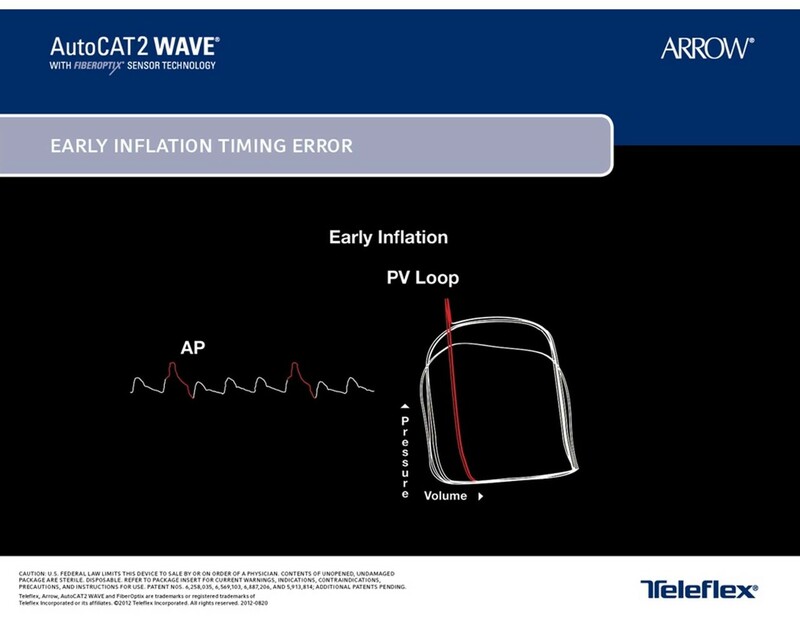 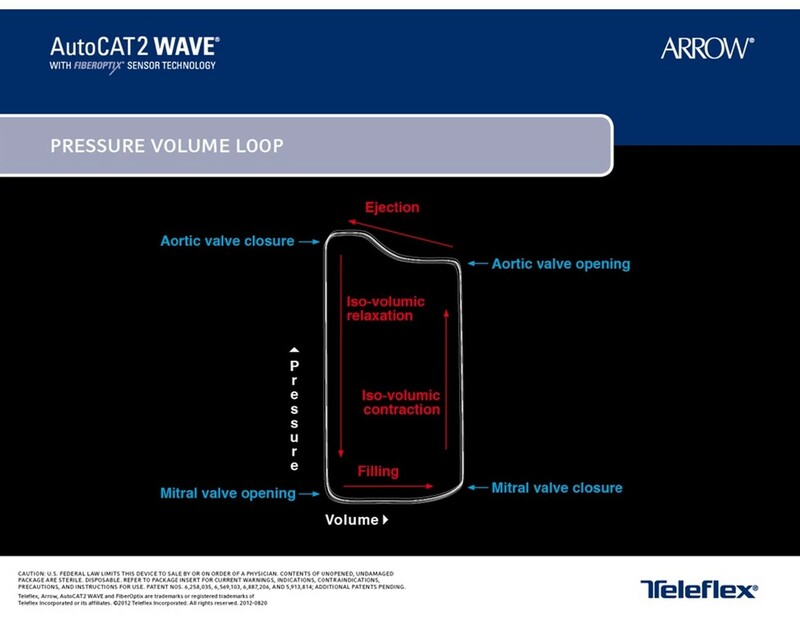 In this eample, the AutoCAT2WAVE® properly timed inflation for all 16 out of 16 beats. 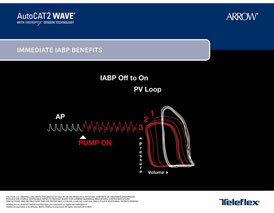 Once the IABP is turned on, the PV loop indicates lower pressure and increased stroke volume. 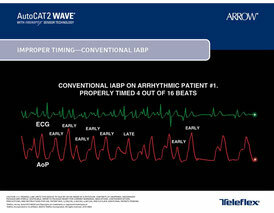 Simply turning the pump on increases cardiac output as much as 18%-22% within just 3 beats when accurately timed. 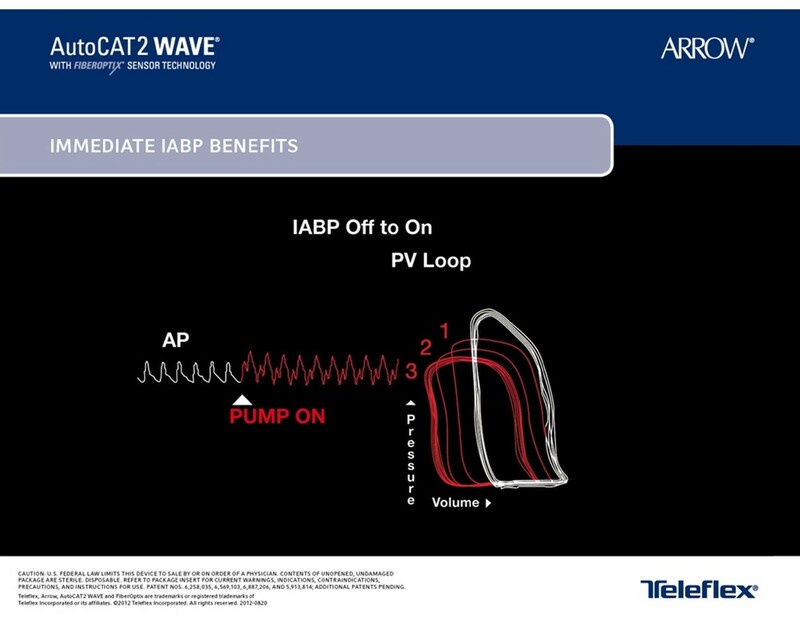 This direct patient benefit is evident in the PV loop shown here.